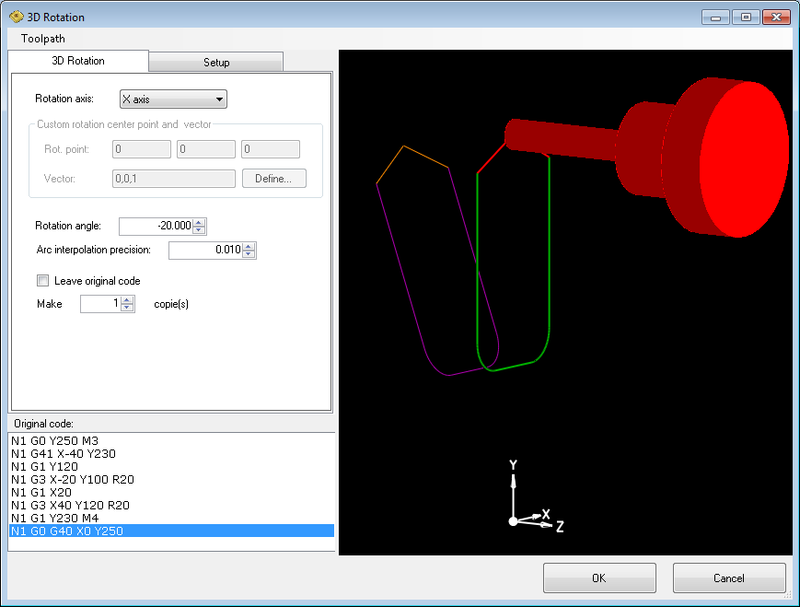 Use this powerful option to rotate selected path around any axis in 3D space. Select part of code you want to rotate and start this dialog. Arc interpolation precision. All arc moves are broken into linear moves with a given precision. Check selected options in the preview area on the right.